Hello Spring! At least most of us are hoping for spring like weather across the country! 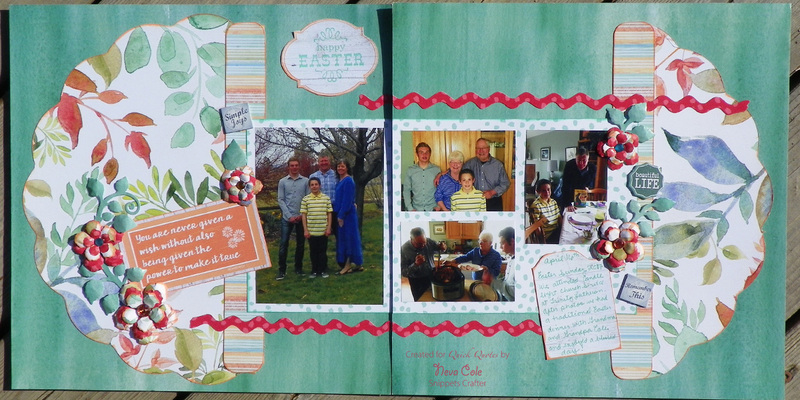 Neva here to share a layout featuring Spring Showers collection and photos from Easter. The Spring Showers collection has a great variety of solids and printed patterns that look amazing in different combinations. o Here I have used 105 as the base for the double page layout. o A large scalloped circle is cut from 106 and is divided between the right and left pages. o Accents from 103 with stripes 11" x 1.25" stripes along the scalloped circle and die cut rick rack from the reverse of 106 add splashes of color. o The lighter color papers are edged in Powder Puff Chalking ink in Island Orange. o The 12" x 6 " mat for the photos is 103 and is edged in Key Largo. o The title is stamped on a scrap of 102 in Island Orange and Key Largo. 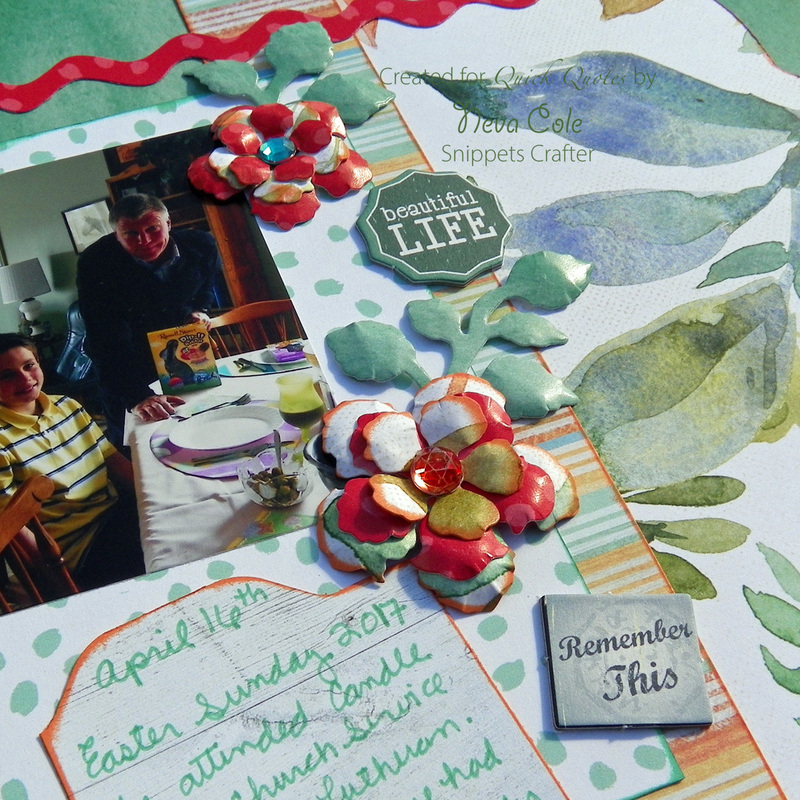 I used a saying from the Farm House Strip 600 as an embellishment on the left page. The flowers are die cut from edges left over from the scallop circle and are assembled with alternating sides in layers. The centers of the flowers are miscellaneous crystal accents from my stash. The leaves are die cut from 105. 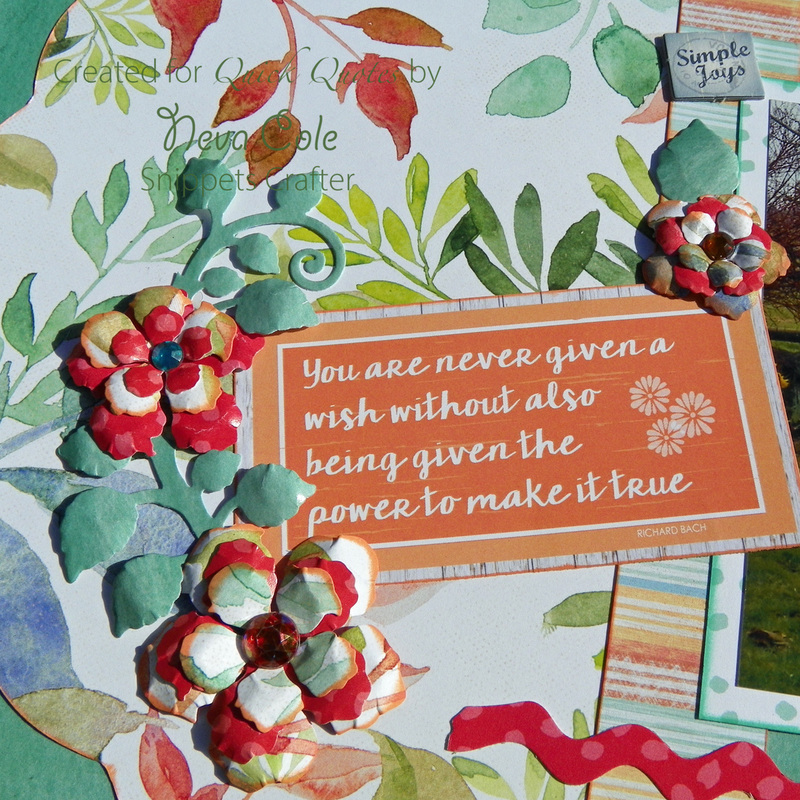 Additional chipboard accents are from the Earth Wind Fire Chipboard Die Cuts 802. The right page features more flowers and chipboard accents. The journal tag is created from 102 and an envelope punch board.